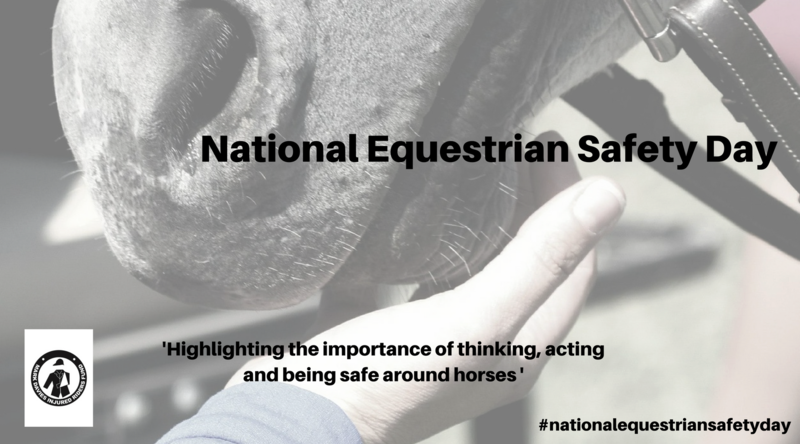 #nationalequestriansafetyday on March 25th 2017 is a safety awareness day aimed at the equestrian community. Created by our charity, which is dedicated to helping those injured through riding, handling or working with horses, the day aims to highlight the importance of thinking, acting and being safe around horses as equestrians become more active as the season progresses. The significance of the day chosen is as clocks go forward, more riders return to the saddle and the competition season starts. It is also significant to the charity as Mothering Sunday is also within the month, a date close to the charities heart. The mother of the rider after whom the charity is named and who lost his life in a riding accident was instrumental in setting up the charity in his name and memory to help other riders and their families. Don’t rush. Take your time tacking up, handling or schooling. Rushing your horse and yourself can lead to tension and mistakes so choose the simple option if time is tight. Have your helmet fitted by a qualified hat fitter & ensure that it is up to the correct standard for your event or discipline. Always wear a safety helmet when handling, leading or riding and if you drop it or have a fall. Replace rather than regret, as damage is not always visible. It could save your life. Have regular lessons and improve your own fitness, so you not only feel more confident but have better core strength and reaction time. Body protectors need to fit correctly to work effectively, so get expert advice. Don’t push your own body or your horses beyond their capabilities. Being unfit and tired can affect you both physically and mentally.